SHCHELUKHIN Alexandr, Doctor EMC. Make an appointment, ask a question. He graduated from the First Moscow State Medical University named after I. M. Sechenov with a degree in general medicine. 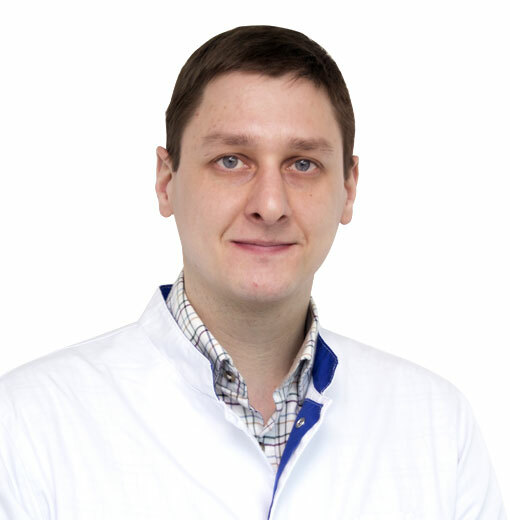 He was trained in the clinical residency and did his post-graduate studies at the Educational and Scientific Medical Center of the Administration of the President of the Russian Federation (ESMC APRF) in specialty "Nervous diseases". He completed the course of professional retraining in speciality "Functional diagnostics" at the First Moscow State Medical University named after I. M. Sechenov. He passed the following career development courses: "Diagnosis and treatment of dizziness and stability disorders", refresher course for specialized treatment of headaches at the Department of neurology, the First Moscow State Medical University named after I. M. Sechenov; "Modern methods of diagnosis and treatment of cerebrovascular diseases " on the basis of the Department of neurology of ESMC APRF. 2011-2013 – Municipal Clinical Hospital No. 51 of еру Moscow City Health Department, neurlogist. 2012-2013 – the Central Clinical hospital of the Administration of the President of the Russian Federation, neurologist. 2013-2018 – Outpatient Clinic No. 3 of the APRF, neurologist. 2014-2018 - Outpatient Clinic No. 3 of the APRF, functional diagnostics doctor. 2016 – Establishment of a specialized unit at the ESMC APRF for the diagnosis of balance and stability disorders with the aim of in-depth clinical diagnosis and application of modern methods of treatment of these diseases. 2017 - Central Outpatient Clinic of the Russian Railways, neurologist, functional diagnostics doctor. He participates in international scientific conferences as a speaker on a regular basis. He has 4 scientific publications. A member of the European Academy of Neurology (EAN), the European Pain Federation (EFIC). A member of Society of specialists in neuromuscular diseases - the regional public organization. neurophysiological examinations – EEG, ENMG, and others.